Up and over garage doors come in 2 types, Canopy or Retractable. Canopy garage doors are the most common type of garage door fitted in the U.K. These type of garage doors require less space for opening but approximately 1/3 of the door remains protruded from the opening when the garage door is in an open position. These are available in a width up to 8ft and therefore may not be suitable for all garage door openings. Canopy garage doors are not recommended if you wish to have an electric operator fitted. 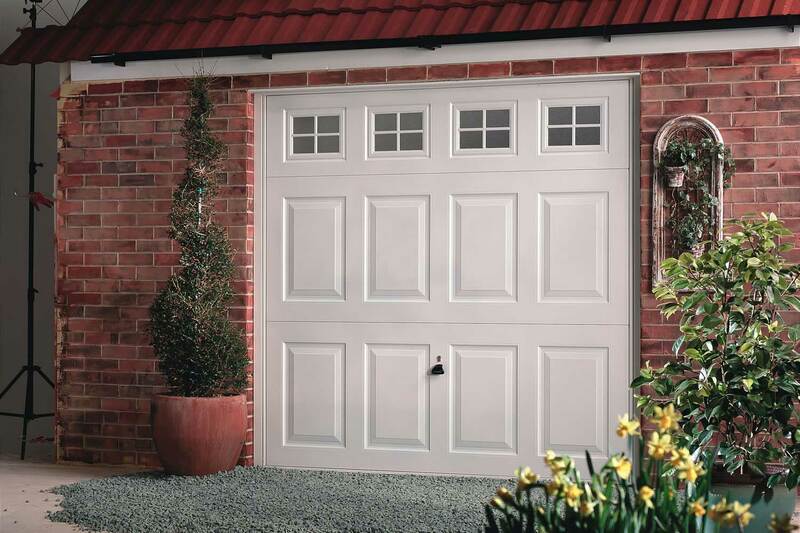 Garage canopy doors are available in price ranges to suit all budgets and styles and finishes to suit all tastes. Retractable garage doors are a more traditional style of up and over garage door. These doors function within horizontal tracks and sit fully inside the garage once opened. Retractable garage doors are available in both single and double width and are an ideal door to be electrically operated.